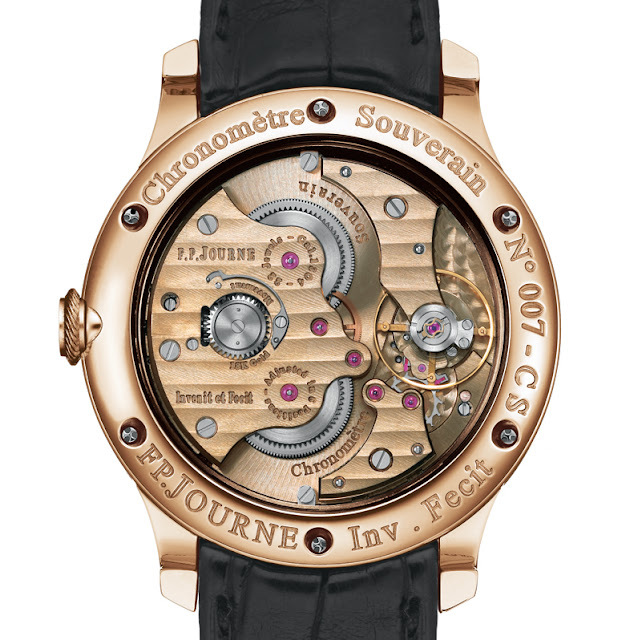 Inspired by early 19th-century marine chronometry, the Chronomètre Souverain F.P.Journe includes a twin-barrel movement in the classic configuration of precision watches. They work in parallel to deliver stable power for most of their 56-hour reserve whose indicator counts hours used rather than remaining. The connecting train has been placed under the dial, leaving only the centre wheel to emphasise the isolation of the balance. The manually wound mechanical movement beats at 21,600v/h. 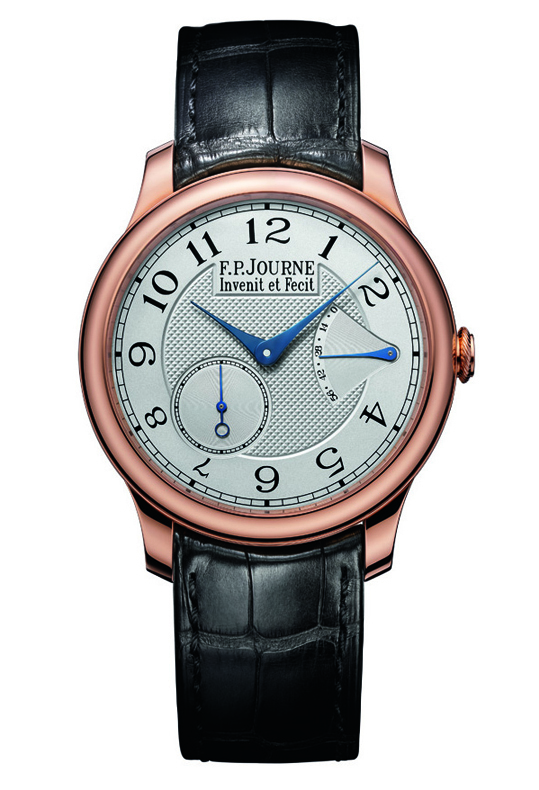 F.P.Journe -with its distinctive label Invenit et Fecit engraved on all watches of the collection- certifies an exclusive 18K rose Gold calibre, invented, manufactured and assembled entirely in the workshops of the Geneva Manufacture. The rose gold or platinum case is available in two different sizes: 38 mm and 40 mm. 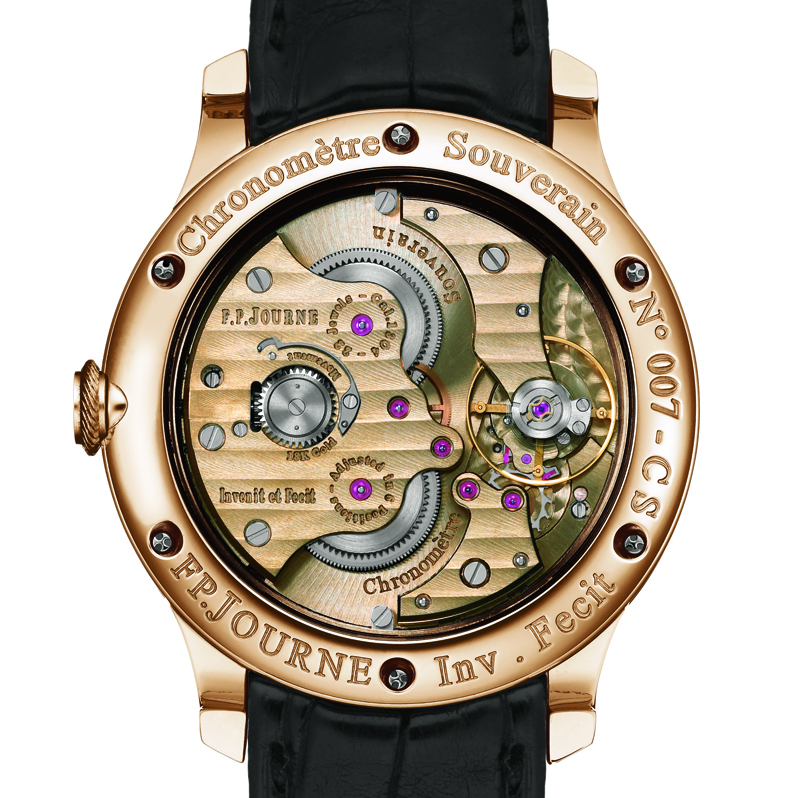 The Chronomètre Souverain F.P.Journe has recently been awarded “Best Men’s Watch 2012” by the European Watch of the Year Award 2012. Over 100 representatives of all major watch brands met at the May Fair Hotel to attend the first award giving ceremony of the European Watch of the Year gala. 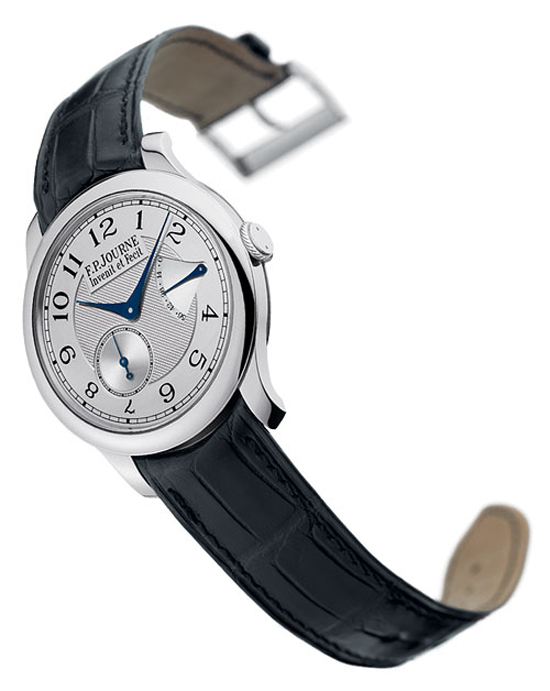 Don't miss the video where François-Paul Journe himself shows the F.P.Journe factory.